A skillful blend of peppermint. 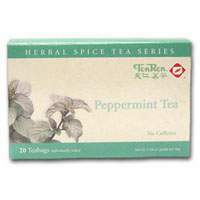 Ten Ren peppermint tea produces refreshing aroma and pleasant fragrance. It can be served ither as hot or iced tea.